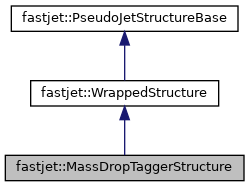 the structure returned by the MassDropTagger transformer. Definition at line 124 of file MassDropTagger.hh. Definition at line 129 of file MassDropTagger.hh.